Two weeks ago, overtime claimed Wisconsin a victim at Camp Randall. Tonight, the Badgers would enter overtime again while facing their FIFTH Top 10 opponent this season. Coming off two straight overtime losses to the ineligible teams ahead of them in the standings, Wisconsin backed into the B1G championship game with an deceptive, but still disconcerting 7-5 record. It was a little like seeing Pig Pen attend a White House state dinner. Nebraska packed their never-give-up attitude to Indianapolis that put them one win away from their first conference title since the late 1990s. Last year’s inaugural B1G Championship was novel. Sold out. Wild. Badgers won a thriller. 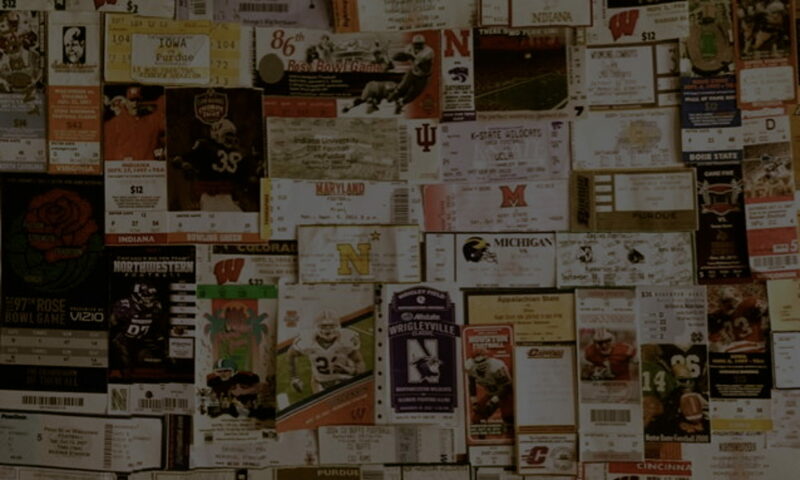 Nebraska’s inaugural visits to each Big Ten stadium as a new member of the conference have become gargantuan events, and the trip to Evanston would be no different. Northwestern rolled out the purple carpet, but perhaps they were a bit over-welcoming. Nebraska is known for having fans that travel well, and Northwestern is known for leaving seats available in their home stadium. The result? Lots of red. How much you ask? Well, let’s put it this way: Today would NOT be the day for Northwestern to get aerial shots of Ryan Field to impress potential recruits. 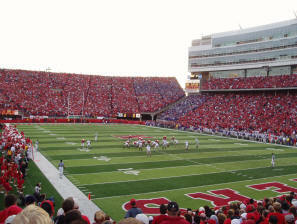 Camp Randall Stadium was the site of Nebraska’s big welcome into the Big Ten Conference. By mid third quarter, it wasn’t much of a welcome anymore. These two big red machines locked gears for the day’s premier prime time matchup, and the first collision between two top ten teams in Madison since 1962. College Gameday got things started on Wisconsin’s historic Bascom Hill. Thousands of fans swarmed on every inch of grass space that could be found to catch a glimpse of Fowler, Corso, Herbsreit, and crew. Signs blanketed the crowd reading quotes like “Welcome to the Big Ten” along with clever phrases utilizing “shuck.” Use your imagination here. Nebraska fans are billed as being some of the most knowledgeable and respectful in the country. Memorial Stadium is noted as being a top ten stadium to visit on a college football Saturday. The stories about Nebraska’s devotion to their athletics are endless and after my experience in Lincoln, Nebraska, it can be safely said that these statements are absolutely true. Nebraska has experienced some hard times lately under new head coach Bill Callahan. A program rich in national titles and winning streaks experienced their first season without a bowl last year. A team that history has dubbed “The Big Red Machine” has been recently reduced to “The Big Red Wind-Up Toy.” But, a win over Kansas State would make them bowl-eligible again. Walking around Lincoln prior to the game, you wouldn’t know that the Cornhuskers have been struggling. Fan support is strong and the folks in this state make football Saturdays an event that rivals Christmas.